ASP.NET AJAX (formerly called ATLAS) is a free framework for building rich interactive, cross-browser web applications. This Microsoft technology integrates cross-browser client script libraries with the ASP.NET 2.0 framework. 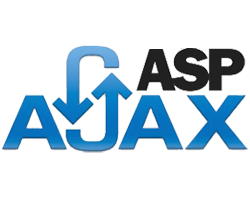 Sign up for our UK AJAX Hosting with no risk to try our excellent service start from £2.99/month! ASPHostDirectory.com offers cheap AJAX Hosting to all our new and existing UK customers. You can try our services before buy it. Get FREE 7 days Trial Hosting with us. There's no obligation to buy — you can upgrade to a more robust account or cancel at any time. No risk anymore, why wait longer?